Hey! How is your week going? I hope your all excited and in the festive mood. It’s technically Christmas Eve Eve guys!! Today I’ve got another outfits post as I know how much you guys love reading them. 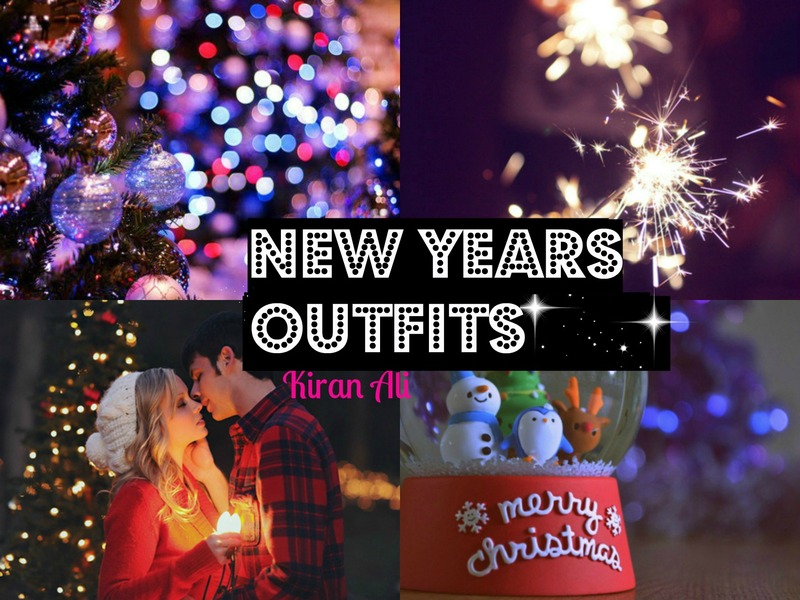 You could wear these looks to a party or meal whichever you prefer,hope you like them! 1. Zippered contrast dress – Forever 21. This green is my favourite green shade so bold and bright. 2. Marquise maroon nail varnish – Models Own. This nail varnish compliments the dress so well. 3. Bold envelope clutch – Ted Baker. I think this blue brings out the boldness in the green. It’s such an electrifying blue I love it. 4. Court heels green – Missguided. The reptile effect on the heels is gorgeous so vintage yet glam. 1. Belted sleeve jumpsuit – Missguided. Maroon is one of my favourites. The gold belt just brings it all together. Jumpsuits ensure you look flawless that’s why I love them. 2. Emerald green nail varnish – Models Own. This a magnificent maroon it matches the jumpsuit completely. 3. Black zip clutch – New Look. Black goes so well with look, the gold hardware is a perfect match with the jumpsuit. 4. T-bar shoes – Topshop. I think chunky shoes look better than heels under jumpsuits or is that just me? Anyways this adds length and looks good with the clutch! Thanks for reading,see you tomorrow. Green is a bit original, considering everybody is wearing red or black.